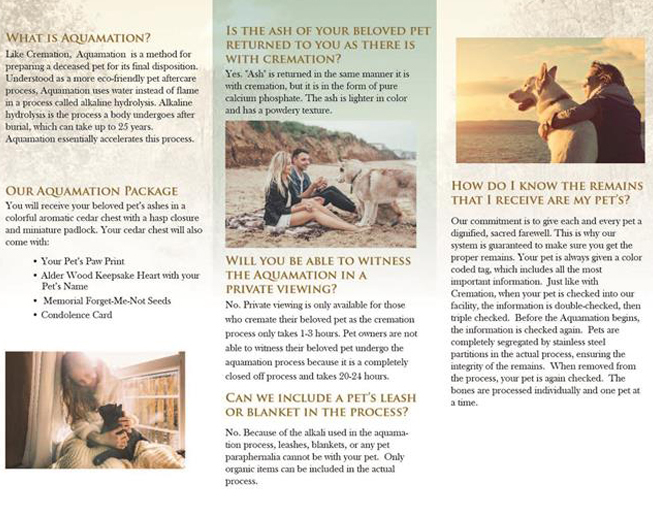 Like cremation, aquamation is a method for preparing a deceased pet for its final disposition. 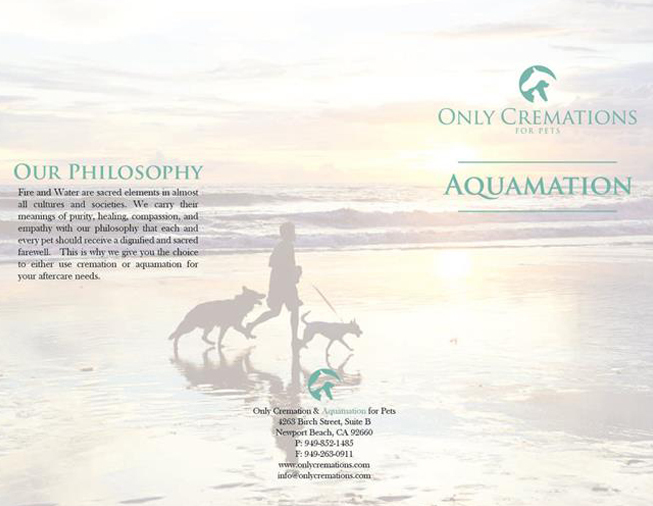 Known as a more eco-friendly pet aftercare process, Aquamation uses water instead of flame in a process called alkaline hydrolysis. Alkaline hydrolysis is the process a body undergoes after burial, which can take up to 25 years. Aquamation essentially accelerates this process. With group aquamation, pets are aquamated communally with other pets. Cremains are then spread at set by Tides to Tranquility and Ocean Defenders.